For Justin Bieber, it was skateboarding in Bushy Park, for Kim and Kanye, it was the Omniplex in Laois and for Drake, it's playing basketball in Tallaght. 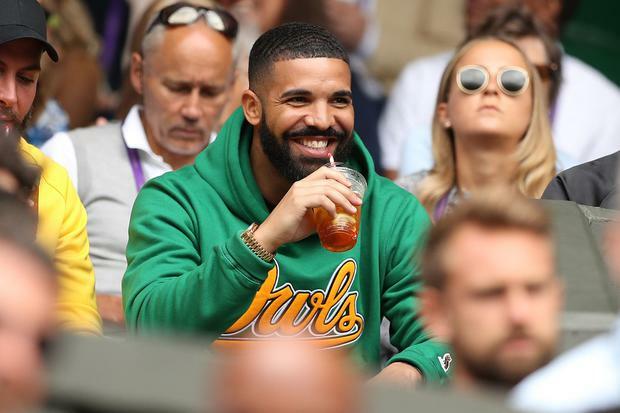 Stars' unlikely activities in Ireland have long been a source of entertainment for celebrity watchers around the country and while superstar singer Drake is in the middle of a three-night stint at the 3Arena, he has been shunning the usual tourist spots in favour of something off the beaten track. He was spotted at the National Basketball Arena in a low-key trip during some downtime before taking to the stage again tonight. Philip Nolan, Arena Manager of the arena, told Independent.ie that one of Drake's representatives booked the court after a local club had finished their nightly practice. "We got a call in the afternoon and asked to come in," Mr Nolan told us. "Normally we have our clubs in that time, but it had just finished and we were delighted to accommodate him. "He had a relaxing time, so we didn't want to torment him with pictures or anything, but he had a great time, everybody responded really well and it was a great life for the. It gave the staff a great lift. We’re a busy facility - and a community facility which is important - and it was gre.t to be able to help him out." The star flew into town on Monday in preparation for his concert series and has been holed up at the five-star Fitzwilliam Hotel on Stephen's Green, where his father Dennis Graham has also been staying to support his son on tour. He previously stayed there when he performed here in 2017. Last time, he hit the town in Xico on Baggot Street. The Fitzwilliam has a notable history with famous guests and Beyonce famously booked out the penthouse suite of the hotel for a six-day stay in Dublin in 2014. Rumours he tucked into an Eddie Rocket's at The Square afterwards are still unconfirmed, but fantastic all the same.